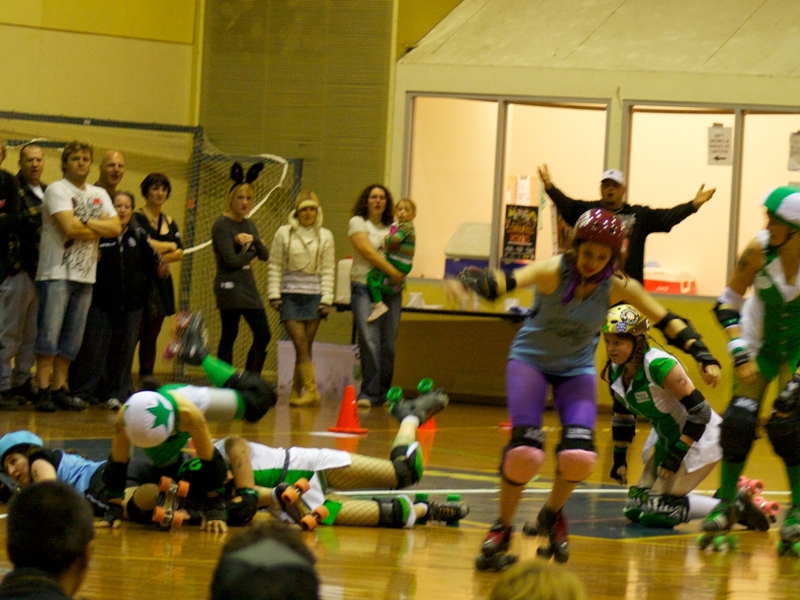 A couple of weeks ago, I went to the final roller derby match for the season. 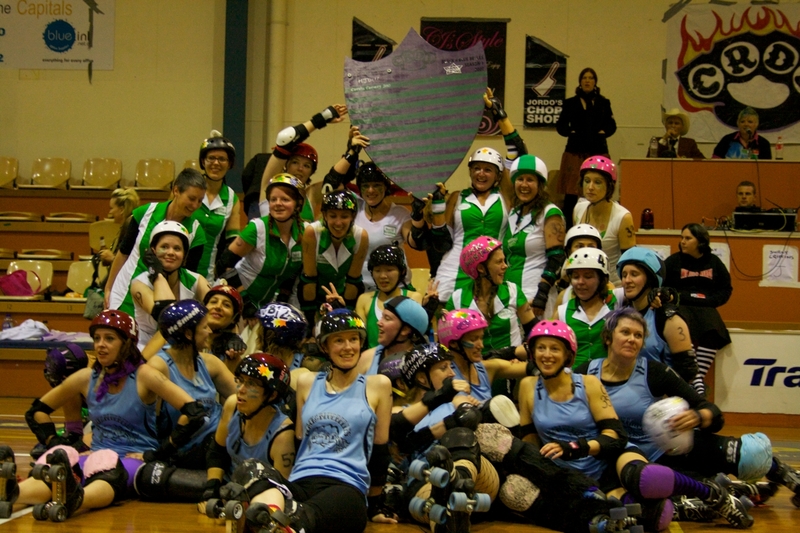 As usual it was between the only two teams, the Surly Griffins and the Black & Blue Belles. 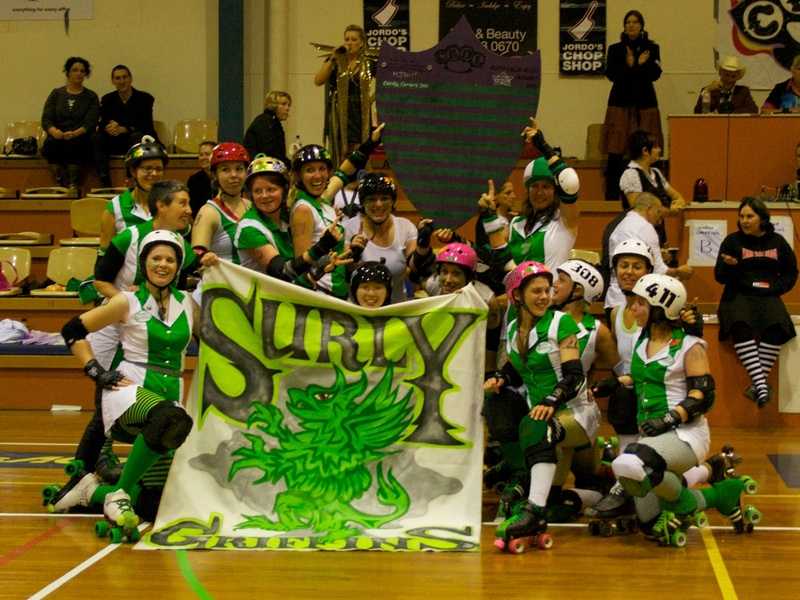 The Surly Griffins won the match that had its share of thrills and spills. However, it was around about this time that my copy of Adobe CS4 stopped working. It was a subscription edition, and I never got a license key. Adobe have not only been slow with the key, but when they gave me one, it was wrong. When they provided me with the full serial key, it wouldn’t work. So right now I am working with Pixelmator to see how that rolls as a basic image editor. The photos below were processed from the RAW images. 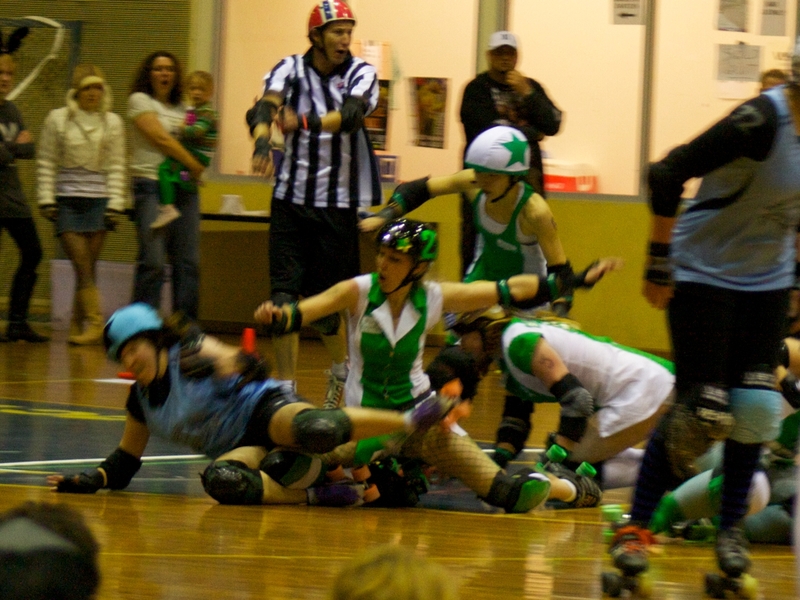 This entry was posted in photography and tagged photography, roller derby. Bookmark the permalink.